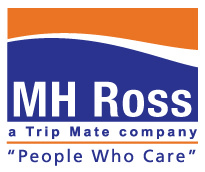 For the convenience and comfort of our tour members, we offer a comprehensive travel insurance plan through MH Ross Travel Insurance Inc.. Please consider purchasing additional trip cancellation coverage to protect your investment from unforeseen events. Please contact us for details. Your group travel insurance plan provides coverage of Bankruptcy or Default of Travel Supplier should a trip have to be canceled or interrupted. 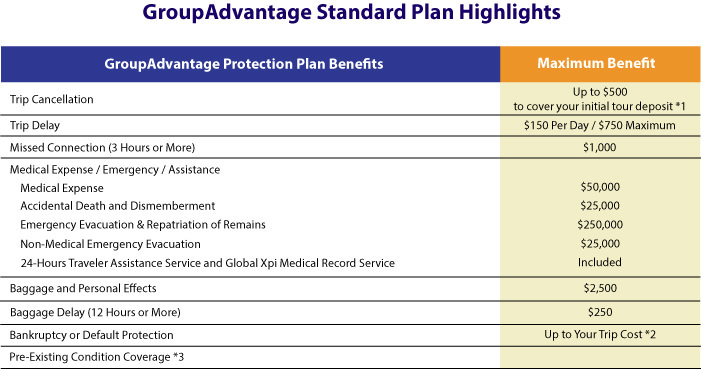 You will receive details on this included insurance plan with your Tour Confirmation and Tour Bulletins after you book a tour.